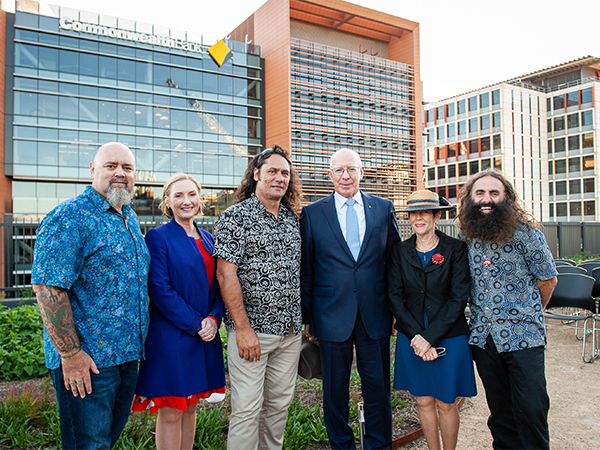 Mirvac and cultural start-up Yerrabingin have opened Australia’s first Indigenous urban food production farm on the rooftop of Yerrabingin House at South Eveleigh, Mirvac’s new technology and innovation hub (formerly known as the Australian Technology Park). Workers, visitors and the local community will be encouraged to participate in the planned workshops to learn about Indigenous culture, native plants and tend to the farm. They also have the opportunity to purchase produce from the farm with over 30 native bush foods to choose from including finger limes, warrigal greens, native raspberries and sea celery. Mirvac CEO and managing director, Susan Lloyd-Hurwitz says, "By working with Yerrabingin we were able to co-create an experience at the precinct that will engage and connect the public to Aboriginal culture and traditions, while educating them on the history of the site. The farm will be self-funded through the delivery of 16 events per month for visitors and South Eveleigh’s 18,000 workers and residents. Yerrabingin will manage workshops, events and tours that focus on native permaculture, environmental sustainability, physical and mental health. The Indigenous rooftop farm on Yerrabingin House of the precinct is part of Mirvac’s $1 billion transformation of South Eveleigh, set for completion in 2020. The farm is one element of a wide range of engaging and educational experiences at the precinct including tours of the garden and storytelling, focused on celebrating and remembering Aboriginal culture. Yerrabingin are also working to establish the South Eveleigh Aboriginal Cultural Landscape Garden, which will grow native and medicinal plant species and bush food.